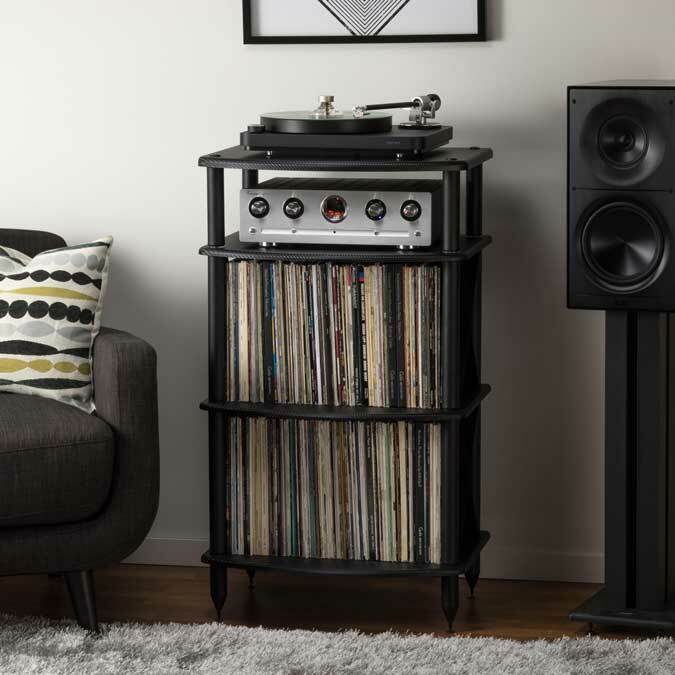 Q. I purchased the $1,000 vinyl record system you recommended in the column and on your website, consisting of Polk Audio Signature S20 bookshelf speakers, Music Hall MMF-1.5 turntable, and Onkyo TX-8020 receiver. It has exceeded my expectations and now I find myself wanting more. What are some other things I can do to improve the sound of my system, without spending lots of money? I already plan on upgrading the cartridge with the LP Gear The Vessel A3SE Ultimate Set. A. A record cleaner is a great place to start. The best record cleaners under $100 are the $60 Allsop Orbitrac 3 and the $80 Spin-Clean Record Washer. The Spin-Clean and the Orbitrac 3 work great as a combo. Use the Spin-Clean to do a deep, wet scrubbing of the grooves, and finish with the Orbitrac 3 to remove any residual dust or moisture. A better phono preamp can make a big improvement. The $275 Bellari VP130 is a great match for The Vessel A3SE. The VP130 uses vacuum tube circuitry to create clean, sweet sound and it also works as a headphone amplifier. Pangea Audio markets a wide variety of audio products and they recently introduced two winners. The first is the Record Doctor Record Clamp. This clamp is a low-mass design that will work well with any turntable and sells at a promotional price of $29.99. Many audiophiles think a record clamp tightens up the sound of their turntable, others prefer to go without one. It really depends on the turntable system and the record being played, but for under $30 it is easy to experiment and see how the clamp affects each record. The second product is the Vulcan TTx2 Turntable Stand with Mega Vinyl Record Storage. This stand is the answer to a prayer for many vinyl lovers and newcomers to the hobby. The Vulcan TTx2 not only provides a sturdy, vibration-free platform for your turntable, it also has storage for over 200 records. It is available in Black for $169.90, or Carbon Fiber Vinyl or Rosenut for $199.90. Proper audio furniture and media storage tends to be very expensive, and the Vulcan TTx2 gets you both at a bargain price. It is selling extremely well and frequently on backorder so if you want one, don’t wait too long. Q. I went to buy the Sbode earphones on Amazon and the $5 coupon was not there. I used the link on your site, which was supposed to go to the appropriate page with a $23.99 price and a checkbox to get a $5 coupon, for a total of $18.99, good until the end of July. What happened, did Sbode withdraw the offer? A. I was surprised to receive your email and contacted Sbode. They apologized and said they projected the inventory on hand would last for over 20 days with the promotion, which would be enough to last through July 31st. The response was far beyond their expectations and they sold out in 5 days. When the inventory was gone, the coupon disappeared with it. The earphones are expected to be back in stock on July 26th and the coupon will reappear automatically. Hopefully everyone who wants the earphones will get a set, but for those who do not I am confident Sbode will run more promotions in the future.